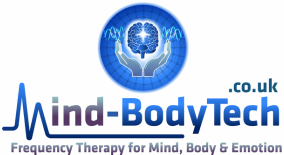 ﻿﻿﻿We are not able to identify here the types of problem we see most often, or the conditions that we feel best lend themselves to particular Mind-BodyTech approaches and treatments. This is because websites and printed advertising come under the jurisdiction of the Advertising Standards Authority (ASA) Committee of Advertising Practice (CAP) which maintains there to be no substantial evidence of the efficacy of most forms of complementary therapy. This makes it illegal to imply that such treatments may be effective for any specific concerns or conditions. Similarly, client testimonials are regarded as implying that others with the same condition will achieve identical or similar outcomes, and are therefore not permitted, irrespective of genuine client self-evaluation of results or satisfaction levels. However, the fact that we are not permitted to publish clear information about the client concern issues we typically see has no bearing upon our likelihood of delivering client satisfaction. Please therefore contact us for further information.